An ecotourism program destined of promoting of the natural, history and cultural patrimony from Iron Gate Natural Park area. After the wide horizon, with the monotony of the endless plains of the Hungarian steppe in which one loses his sights like in some sort of sleepiness, after the slow Strauss-like waltz of the turquoise waters, Baziaş, the kilometer 1 of the Romanian Danube suddenly looms in front of the traveller`s eyes announcing that the Danube entered into Clisura (Danube Gorges)..
Romania is the Danube`s work. The river has given it not only a border and a reference point in the world, causing our country to be otherwise known as The Danube Country, but most of all has given it a space polishing it up to the last detail. 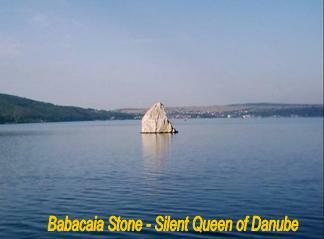 Throughout its tumultuous history the Danube had to assault the mountains. That’s how The Iron Gates came into being- the triumphal arch through which the new river came into the Universe. The drama of its genesis couldn’t have occurred anywhere else but here, in this place that carries the mark of the first spasms. The rock is painfully striated like in the birth struggle. Until the Iron Gates Weir/Barrage appeared, the waters of the Danube collected between the mountains, tenaciously stroked against the rapids, were regaining the primal scream with which the river came to life. Once in a while, through the terrible passage continues to blow, even today, the Cosava wind, like an embodiment of some forces designed for a world with other dimensions, Cyclops-like and violent. The sight of the Iron Gates involves, regarding the elements, the iron and the colossal rock that became mountain. A mountain that is in permanent battle with the water, but also in harmony with it. At a millenary scale, though, the Gates are a Historical Replica. Everything around is silence and stillness. 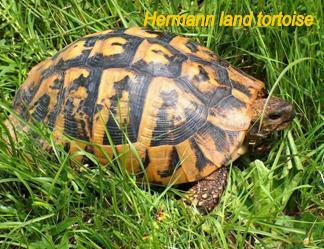 Their preservation is a noble mission of the Natural Park of the Iron Gates. 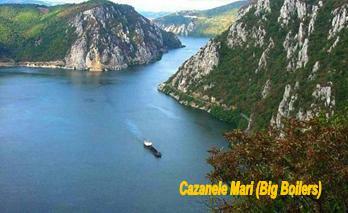 The upper Clisura of the Danube is that part of the Natural Park of the Iron Gates that lays between Baziaş and Cozla set on the territory of the Caraş-Severin County. 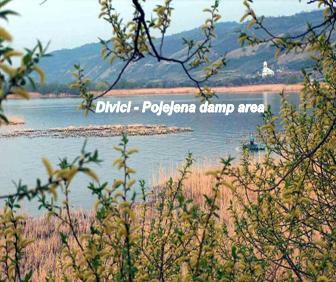 Here, from the road that winds by the fairy-tale world of the birds and fish from Balta Nera (Nera`s Puddle)- the Danube, Ostrovul Calinovăţ (The Calinovăţ Island), Râpa cu Lăstuni (The Ravine with Martins) - Divici, Baba Caia (Old Lady Caia) and Gaura cu Muscă (The Fly Hole) you can get in 2-3 hours` time into Locvei and Almăjului Mountains travelling on roads and paths that go through the dwellings` area, nearby the Danube localities. Standing on the Piatra Albă (The White Rock), Culmea Naidăşului, Tâlva Cerbului or Ravensca summits you can admire spectacle of the Danube crossing the Carpathians. If you succed to see the sun setting or the „claire de lune” from Baziaş rowing in a boat and then, the next morning you wake up in the hay found in an attic of a house somewhere in the Locvei Mountains, it means that you really are in the magnificent world of Clisura of the Danube. 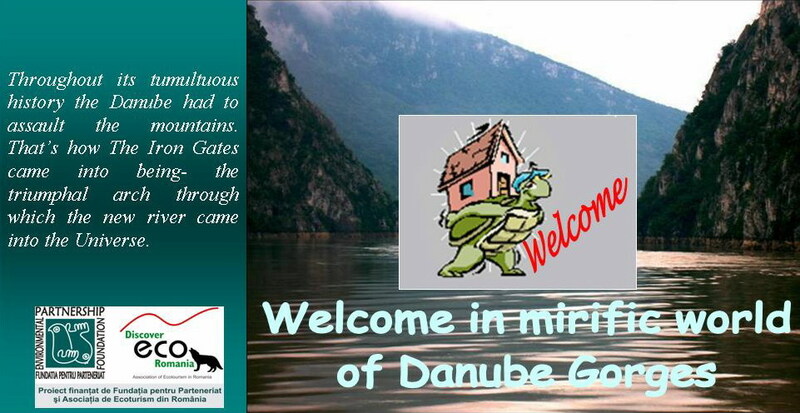 Danube Gorges greet their guests. By the bus or car from Reşiţa on the national road Resita – Grădinari – Oravita - Moldova Nouă (105 Km). By the bus or car from Timişoara on the national road Timişoara – Moravita – Oravita –Moldova Nouă (160 Km). 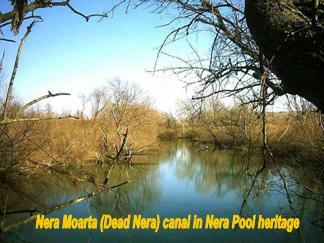 From Serbia, the tourists can travel till Moldova Noua by the ferry bout on the rout Veliko Gradiste – Moldova Noua or by the car trough the cross border points Kaluderovo – Naidas, Vatin – Moravita, Kladovo – Gura Vaii. Access: at the left from national road, at the enter in Moldova Noua city, coming from Pojejena. Tourism offer: 19 accommodation places, parking, bar, restaurant with terrace, traditional fish menu, Romanian and Serb folk sings. Access: at the left from national road, just at the foot of Piatra Alba (White Stone) Hill, coming from Oravita. 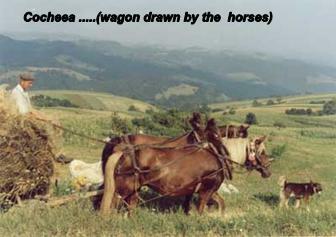 Return from Radimna Valley by the wagon drawn by horses (cocheea). 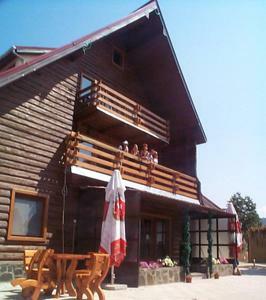 Diner and folk show at the accommodation places. 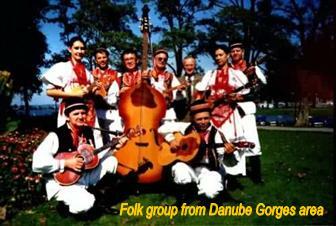 Romanian and Serb sing from Danube Gorges area. Walking in Moldova Noua (New Moldova) city. Tourism rout Moldova Noua – Valea Mare (Big Valley) - Moldovita village. 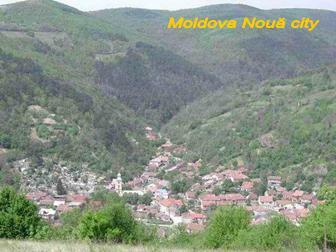 Tourism routs Moldova – Nouă – Pojejena – Belobresca – Divici - Bazias. 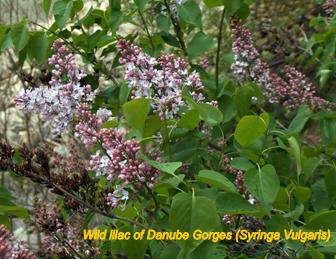 Walking in the villages from Danube bank area. 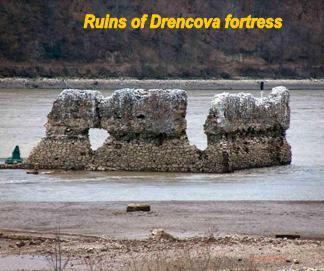 Ruins of Divici Dac fortress, Pojejena carnival (Fashanck) in February, Pojejena Matcalau – an old Romanian custom in February, Pojejena sheep’s holiday in May; Belobresca grape ball in September, Belobresca puppet holiday in August, Pojejena village nedeea in May, Belbresca village nedeea in June, Belobreşca ethnographic museum. Access: at the left from national road, at the enter in Bazias village, coming from Pojejena. Tourism offer: 17 accommodation places, parking, camping, bar, restaurant with terrace, traditional fish menu, beech of lie in the sun on the Danube bank, ridings on the Danube by boat with oars or motorboat. Rowing in the boat on the Danube at the sunset. 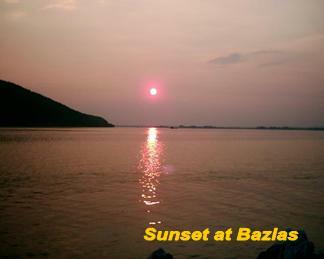 Objective: Riding on the Danube by the boat with oars before the sunset in the Bazias village area; immortalizing (filming, photographing) of the sunset as an emblematic image of West Danube Gorges. 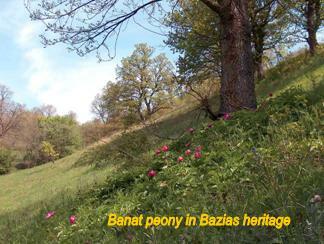 Baziaş – a village which survives thanks to nature potential and memories of his history. 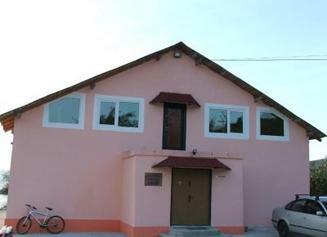 -Socol village nedeea and Campia village nedeea in August 2th, Bazias village nedeea, in August 19th, Carnival (Fashanck) at Socol, Campia, Zlatita in February or Mart. 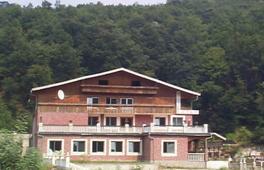 Lunch in Socol village including Serb traditional menu. Cheese pie, pumpkin pie, beam pudding, pancakes, fowl giblets stew, mulberry brandy. -Presentation of heritage, identifying of the rare protected species as small egret, big cormorant, otter. Fish menu diner on the Danube bank, in the Bazias village area, accompanied by the tambourine murmur of Serb folk music. 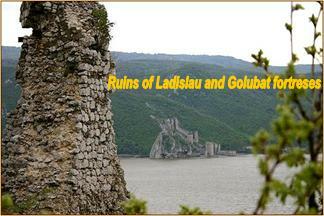 Ruins of Ladislau and Golubat fortresses, ruins of Sichevita Roman fortress, ruins of Drencova fortress, Coronini village nedeea in July 20th , Coronini Fashanck in February, Sichevita village nedeea in June, Sichevita Fashanck and Mask Festival in February, Gornea village museum, Berzasca ecological informing center of Iron Gate Natural Park, Berzasca old orthodox church, Berzasca village nedeea of May 13th – 14th, , Bigar folk festival of Danube Gorges minorities in August, wood mills on Liubcova river, Gornea ethnographic museum. 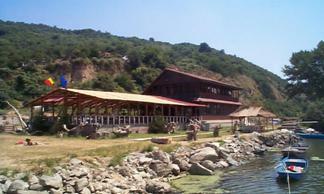 Access: at the right from national road, at the enter in Cozla village, coming from Berzasca. Tourism offer: 21 accommodation places, parking, bar, restaurant with terrace, traditional hunter menu, ridings on the Danube by the boat with oars or motorboat. Access: at the right from national road, at the exit from Berzasca village, toward to Moldova Noua. 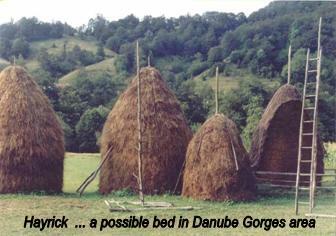 Tourism offer: 25 accommodation places, parking, camping, bar, restaurant, traditional peasant menu, ridings on the Danube by the boat with oars. 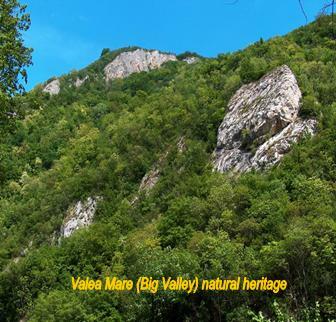 Tourism routs Valea Berzasca (Berzasca Valey) -Thematic path V.
From Moldova Noua city till Resita, Timisoara or Orsova, the tourists can travel, beginning from 14, 00 o’clock, by the bus. In same time from Moldova Nouă till Orsova the tourists can travel by the steam. From Moldova Nouă till Veliko Gradiste, the tourists from Serbia can travel by the ferry bout, beginning from 15, 00 o’clock.